It's difficult to describe the mood and scene over in the Hyatt. I suppose that the biggest obstacles standing in the way of any description would be the tumbleweeds. This year, in what can only be described as a fit of mania, RMAF decided to answer the long-standing hunger for larger exhibit rooms by booking three ballrooms in another hotel. No other exhibits were booked there. No events were held there. Signs never appeared. Directions to the hotel were offered only in the vaguest terms, usually a non-specific gesture followed by "oh, it's right over there." Have you been to Denver's Tech Center? "Right Over There" might as well be "Anthony sent him to the cornfield." Tech Center is the mythical land where giant parking lots go to die. "Right Over There" isn't visible past the curve of the earth. "Right Over There" might as well have been a lonely purgatory. 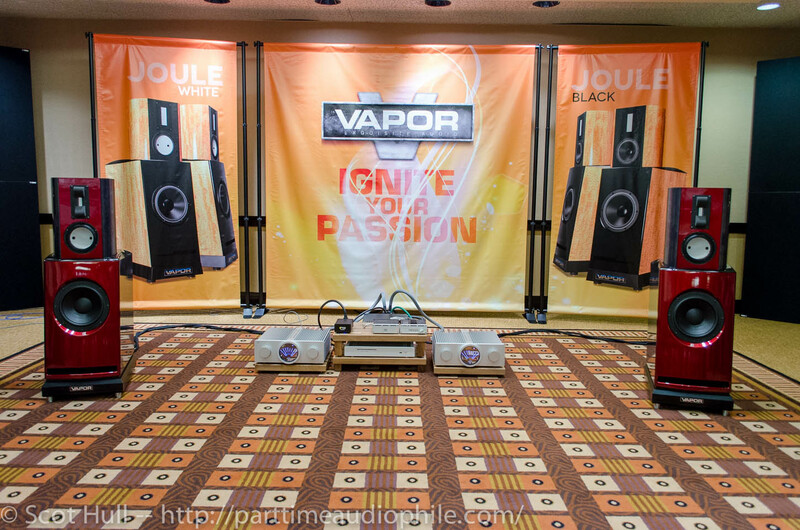 But, right in the middle of "Right Over There," was a giant ballroom filled with two systems from Vapor Audio. For a certain type of person, "Right Over There" was the heart of the action, which meant that Kirsten and I found ourselves trudging out to the apocalyptically deserted Hyatt on Sunday morning. The first system was the one we’d migrated (only two parking lots and one shortcut across private property!) over to hear. 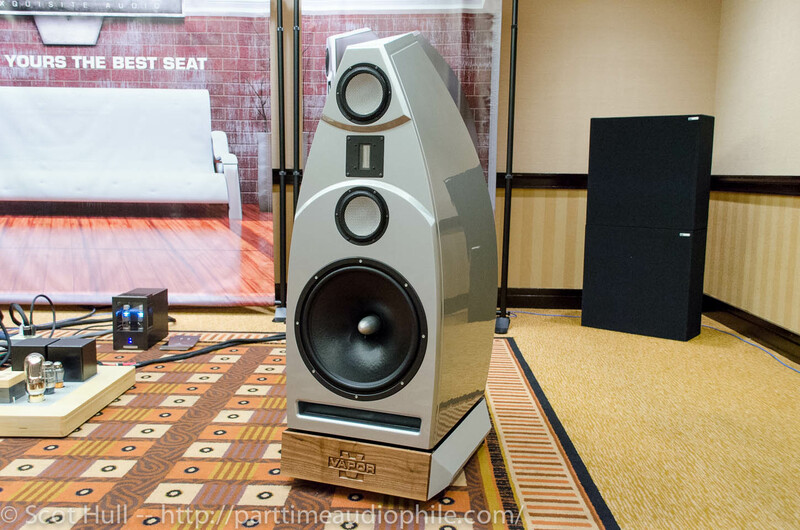 It was anchored by Vapor Sound‘s new Nimbus White speakers ($9500). The Whites are offered as an evolution of the Nimbus Black that impressed me so much at Newport, and they don’t disappoint. All the easy authority of the cheaper model remains intact, but the new drivers significantly better the game when it comes to the midrange. 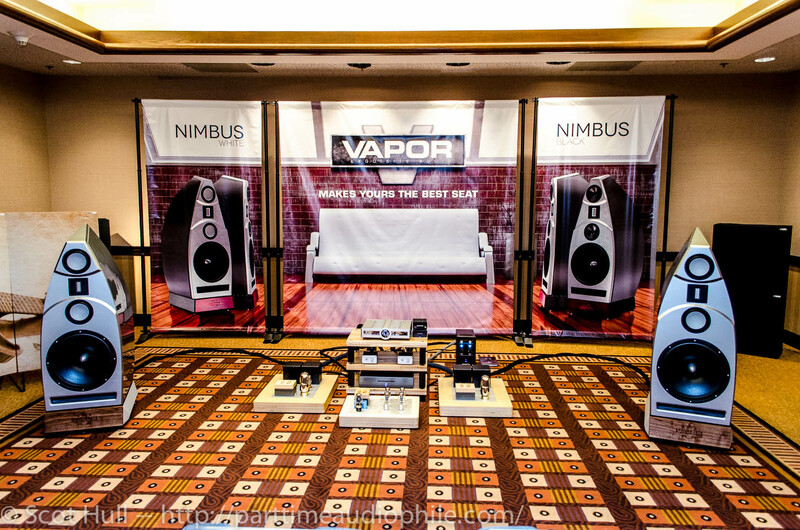 If the Nimbus Black sounded just right in the confines of a tiny cube of a hotel room, the Nimbus White sounded just as effortless in what was, effectively, an empty aircraft hangar. 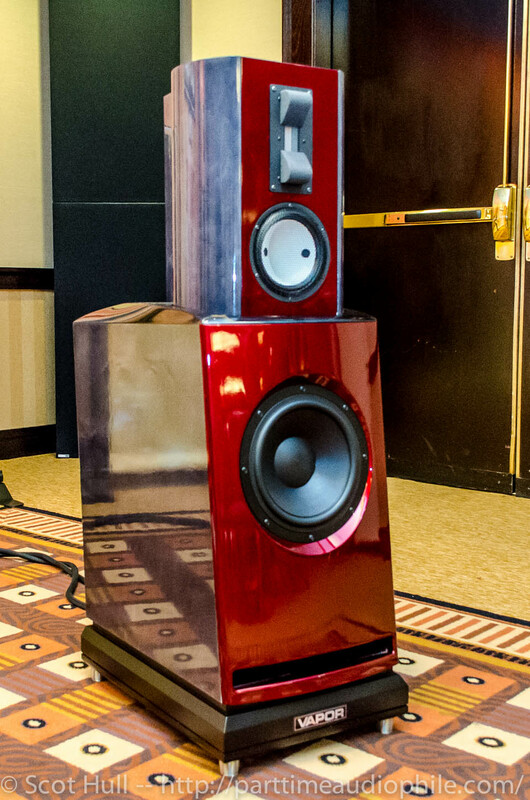 Amplification was provided by Arte Forma‘s Due Volte monoblocks ($6500). 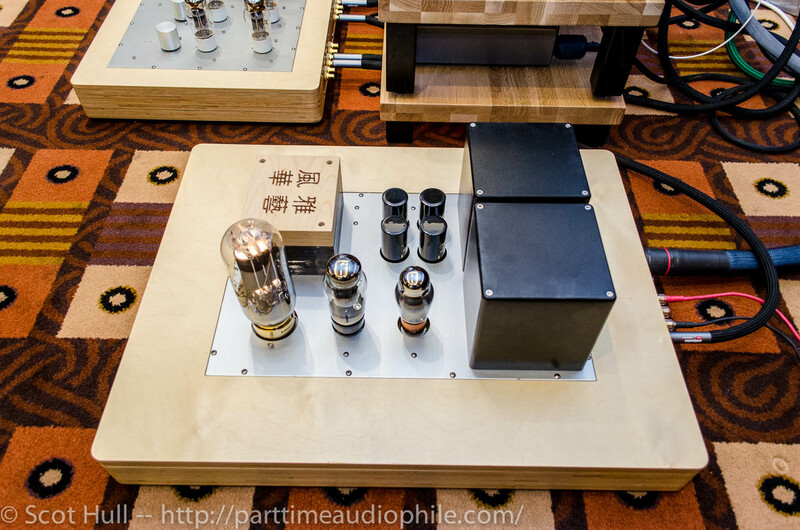 The prominent 805 tube standing tall gives a hint that 40 watts per channel of triode is about to crawl into your lap. 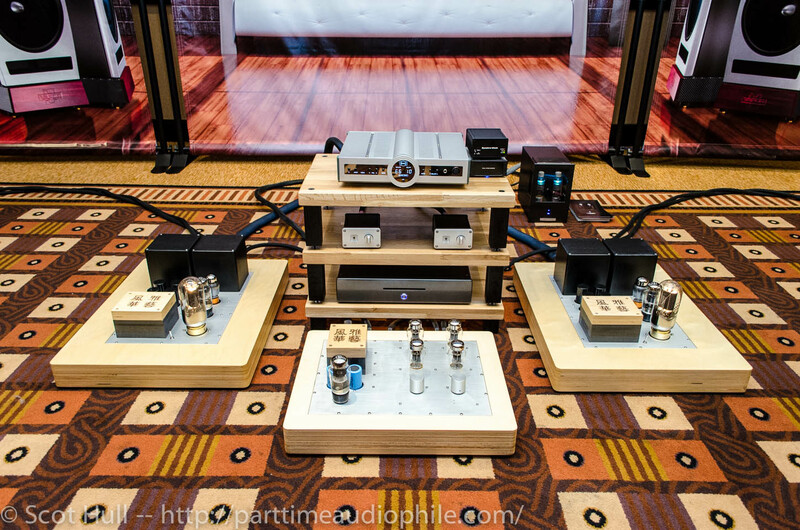 Preamplification saw Arte Forma’s new Thalia ($2500) adding a bit of meaty, 6sn7 sound to the deal. While the packaging of these pieces was definitely from the traditional “metal plate on a box” school of design, it’s fair to say that they at least have good-looking plates and very good-looking boxes. The front end, when I was there, seemed to be a bit on the Rube Goldberg side of things. 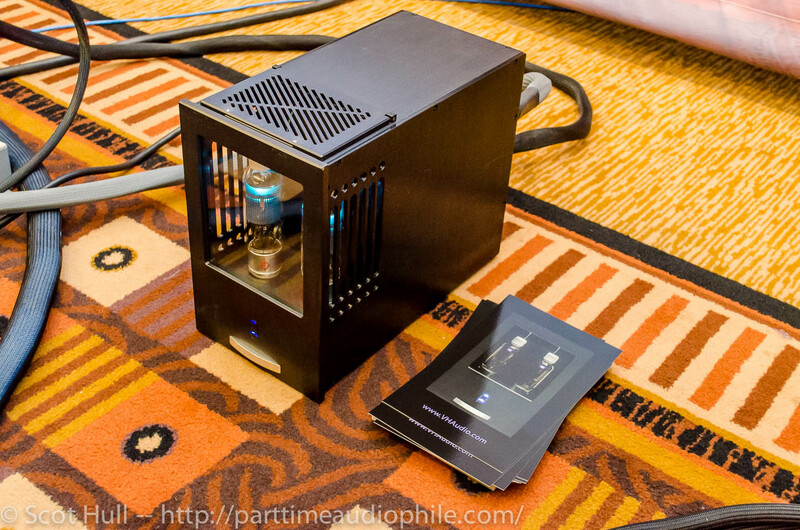 We’ll start with an Antipodes music server ($3500-$5200), a bunch of Steve Nugent’s doodads from Empirical Audio, and a BMC DAC. 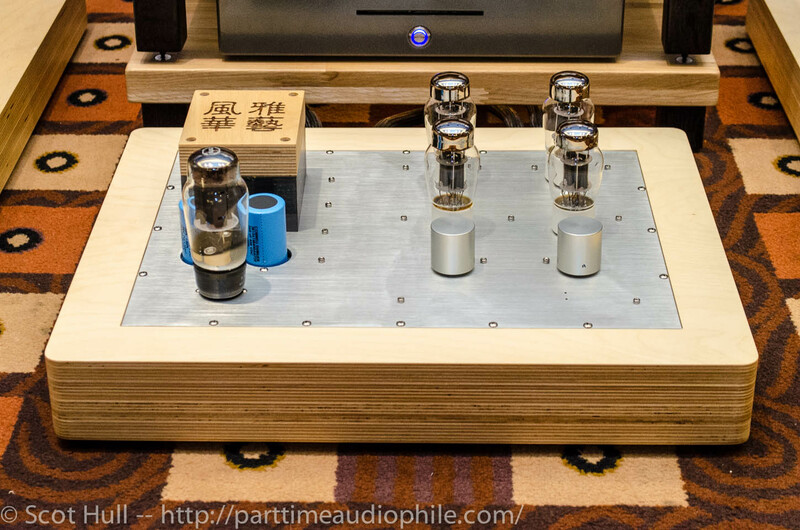 It speaks to the Arte Forma amps’ prowess that the BMC house sound didn’t seem overly softened by all those tubes. 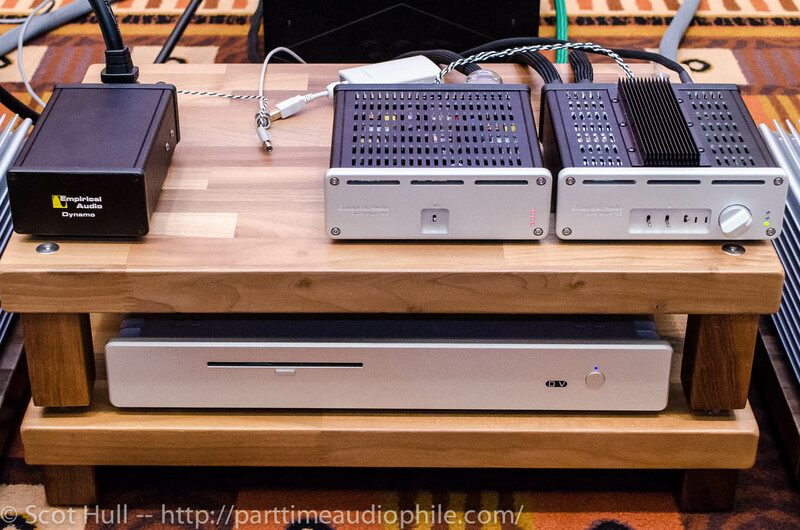 On the other side was the … Let’s call it the second system. It was only theoretically a second system during my visit. The whole thing had fallen victim to show conditions. One channel was dead, the other channel was dropping out every second or so, and three guys who hadn’t had their coffee yet seemed to be arguing over who got to hit things with a sledgehammer. That’s about when Mark Jenkins from Antipodes Audio, a true gentleman, guided us outside to distract us from the inevitable violence. The terrifying thing? The blips and farts — a technically accurate description! — out of that system gave a pretty good idea of what to expect. 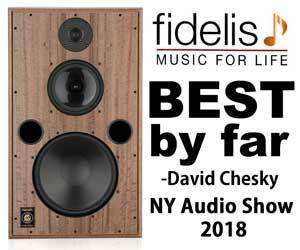 Two hits with the Emergency Repair Hammer would have thrown about $14,000 worth of Empirical Audio digital (a familiar and well-loved source) in front of about $17,000 worth of BMC’s M2 monoblocks. 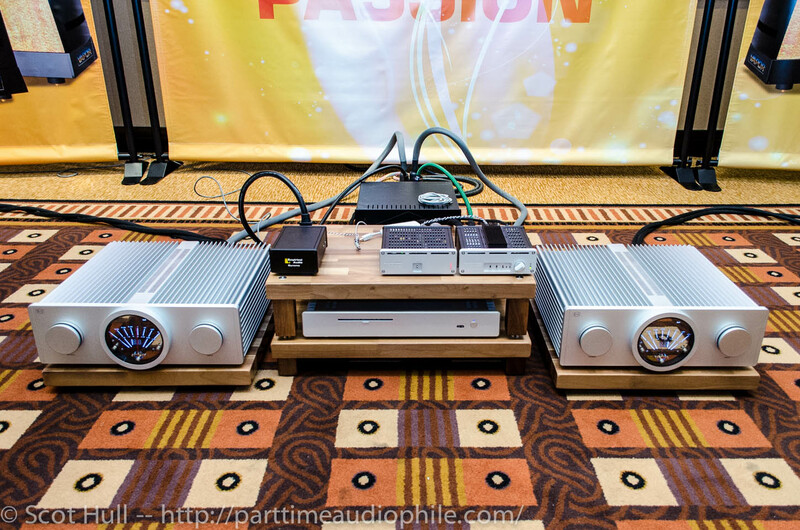 The speakers were Vapor’s $13,000 Joule White model. 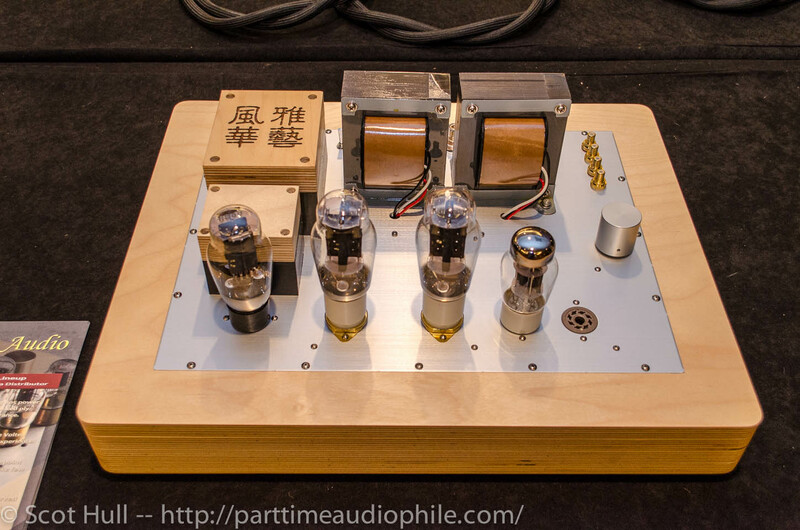 The sound, as near as I could tell, promised to be a great deal more hifi than what came out of the Nimbus system. Whether that’s an attractive sound … Well… I can’t comment. Blips’n’farts, you see. Overall, though, despite only 50% of what was on offer actually managing to make music, it was worth the trip. That’s a pretty neat achievement right there.